NEW CHUCKIEEEEEE!!! Yes its here. This massive tune from DJ Chuckie and Junxter Jack is not set to be released till October 22nd, but somehow I picked up a download of it a while back and as I got bored of waiting for the release date to come around, I uploaded it myself. This track I heard a lot this year with Sandro at Tomorrowland, and the drop that accompanies this song is unexpected and seriously gets a crowd jumping. So 22 days early, here is your new Chuckie track! 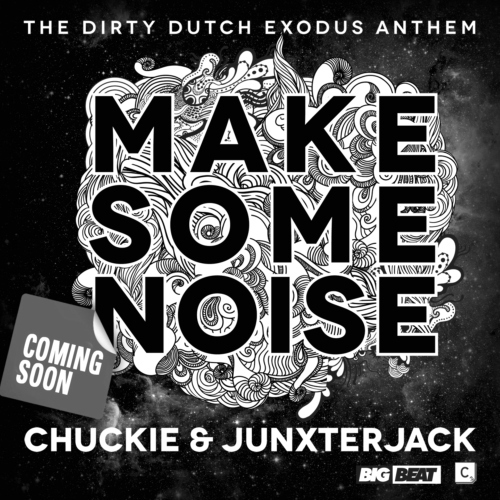 0 Respones to "RELEASE: Chuckie Feat Junxter Jack - Make Some Noise "